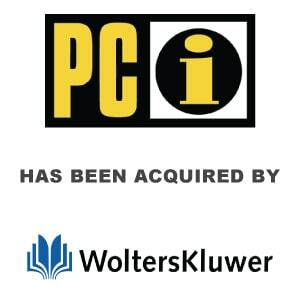 Berkery Noyes & Co. represents Wolters Kluwer Corporate & Financial Services in its acquisition of PCi Corporation - Berkery, Noyes & Co., LLC. NEW YORK, December 13, 2004 — Joseph W. Berkery, President of Berkery, Noyes & Co. LLC, announced today that his firm represented Wolters Kluwer Corporate & Financial Services, a division of Wolters Kluwer nv, in its acquisition of PCi Corporation, a leading provider of lending compliance management solutions. PCi Corporation’s core competencies include compliance expertise and automated work flow solutions for complying with Fair Lending, the Community Reinvestment Act (CRA), the Home Mortgage Disclosure Act (HMDA), and predatory lending requirements, as well as flood hazard determinations, commercial loan automation, and Marketing Customer Information File (MCIF) solutions. The acquisition of PCi Corporation expands the comprehensive line of compliance solutions offered by Bankers Systems, Inc. and its subsidiary, VMP® Mortgage Solutions, Inc., companies within Wolters Kluwer Corporate & Financial Services. Bankers Systems is a leading provider of compliance and work flow solutions for the banking marketplace, serving more than 80 percent of U.S. banks. VMP Mortgage Solutions is a leading provider of compliance and technology tools for mortgage lenders. PCi Corporation will operate as a subsidiary of Bankers Systems, Inc. Founded in 1994, PCi Corporation serves institutions seeking to keep lending in compliance with both regulatory and internal business standards. Over 2000 institutions, including 93 of the top 100 lenders, rely on PCi’s software and professional services to monitor, detect, analyze, and resolve compliance demands throughout the entire lending process. Compliance expertise, acquired during more than ten years of operating success, positions PCi to help lenders produce compliance-certified loans that minimize risk, identify lending opportunities, add value to portfolios, and serve the needs of their communities. PCi is based in Boston, MA. 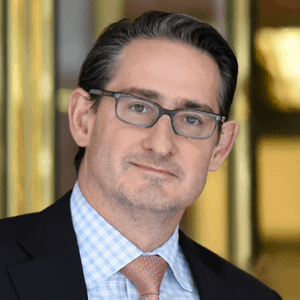 Berkery, Noyes specializes in investment banking for the information, publishing and communications industries. Among the most recent transactions completed by Berkery, Noyes are the acquisition by Delta Education, LLC of Neo/Sci, the acquisition by Discovery Communications of AIMS Multimedia, the acquisition by Hanley Wood, LLC of the Annual Trade Show of the National Roofing Contractors’ Association, the sale of the print-assets of Sheshunoff Information Services to AlexInfomation and Shesunoff Insurance Solutions to Highline Data, Weaver Publications to Prospect Partners, LP and the acquisition by Taylor & Francis Group plc of Marcel Dekker, Inc.
Berkery, Noyes & Co.’s clients range from small firms often seeking a buyer, to most of the major international information companies who use the firm’s expertise in locating, analyzing and negotiating with acquisition candidates and in managing divestitures. The firm operates with a staff of twenty-two professionals serving the information and publishing industry from offices in New York. For more information, visit www.berkerynoyes.com.